In 2008, JB SportsCorner is your exclusive home for everything Boilermakers. From West Lafayette to Pasadena, we are the only home in Bismarck that covers the Big 10. Who will get the run for the Roses? Find out on your home of Big 10 football, Boiler style. 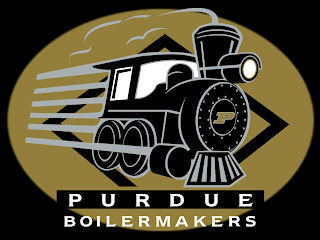 Find out if Curtis Painter and the Boilermakers can steam their way to Pasadena, or see if they get derailed. It all starts on Saturday, September 6th. This is the only place where you can read Boilermaker coverage without actually being at Ross Ade Stadium. I will look in to it. Thanks for letting me know so I can better serve you.